Hi everyone! Welcome to my new blog! 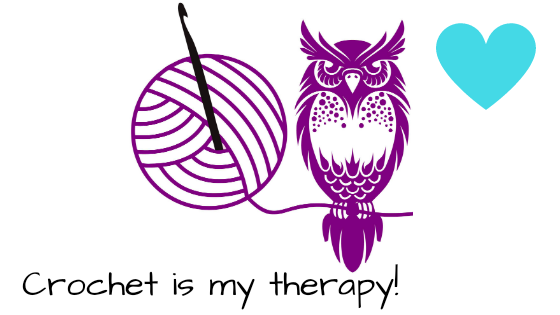 My name is Rebecca Rowe, owner and designer of Cute, Crafted and Crocheted. I learned to crochet when I was 15 but shortly after lost interest. I was a busy teenager. I had a bad seizure and was diagnosed with Epilepsy the beginning of 6th grade from a head injury. From then on I’ve dealt with more problems. I have bad migraines, a severe Anxiety disorder, depression, Fibromyalgia, Chronic Fatigue Syndrome, Ptsd and a bad lower back that I have to have surgery on March 7th. I became disabled about 8 years ago and I was home alone 10+ hours a day and fell into a deep depression. I was in a very bad place. I knew I had to do something to keep busy and take my mind off everything. I still remembered the basics of crocheting so I bought some yarn and hooks and began to crochet again. I only did blankets in the beginning because I never learned much more. The past few years I taught myself new stitches, following patterns and my most favorite, Amigurumi! Maybe it will help someone. I will also share others free patterns that I love here as well, with permission of course. Wish me luck on this new journey! Until next time, pay attention to the little things in life and Always Be Happy!